As most folks are aware, the tryptophan in turkey doesn’t actually make you drowsy. Or at least it doesn’t make you any more drowsy than the tryptophan chicken has in even greater amounts. So what then explains the fact that more than a week after Thanksgiving, none of us here at ChannelPro can keep our eyes open long enough to write about so much of what’s going on in the technology industry? It’s a question we’d explore in greater depth if we didn’t feel another nap approaching. Before it arrives, though, here’s a rundown of some stories we would have covered for you this week if we’d been awake a little more often. So close yet so far. Somehow, despite all the gravy we ingested last week, your ChannelPro news team managed to make it to Las Vegas for the Ingram Micro ONE conference, and even file a few stories. Unfortunately, we didn’t manage to waddle over from that show to any of the three venues right up the street where Amazon Web Services was holding its massive re:Invent confab. And there was a lot going on at that event, it turns out. Create conversational interfaces that allow users to control applications via voice and text commands. Equip applications to respond to those commands just as conversationally. Build image recognition capabilities into their cloud-based solutions. And that, it turns out, was just a warmup. 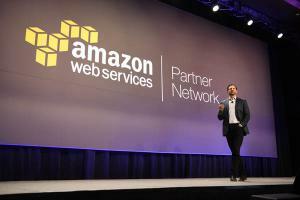 There were also seven new additions to the Amazon Elastic Compute Cloud, two new services for connecting the AWS platform to Internet of Things gizmos and other connected devices, a new SQL querying tool for the Amazon Simple Storage Service, and new compatibility between the Amazon’s Aurora database and the PostgreSQL open source database.